They were found in Plovdiv, Bulgaria, but there are no tortoises buried with these skeletons. They weren’t buried at all, in fact. 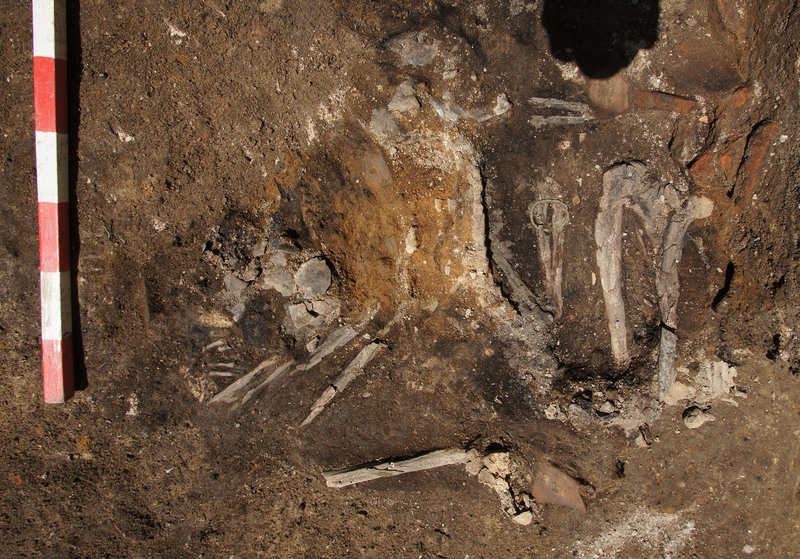 The charred skeletal remains of three people, two adults and a child about three years of age, were discovered on the floor of a home in the ancient city of Philippopolis during an excavation of a Roman-era street. Each skeleton shows signs of dying in a fire. Researchers were able to see that one of the skeletons was a woman who was still wearing two bronze bracelets. 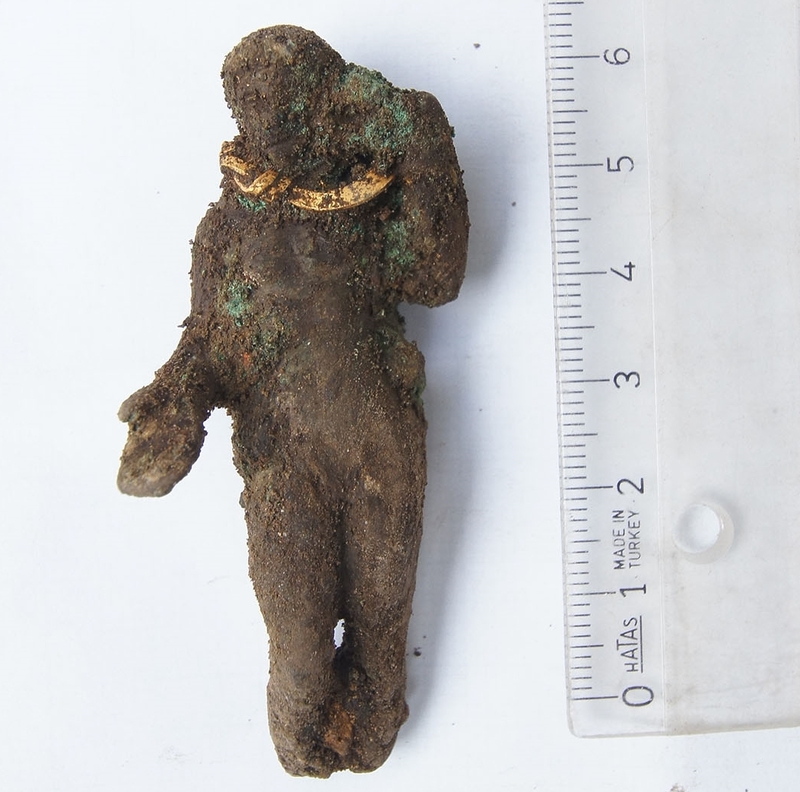 Near the bones of the other adult, archaeologists found six coins and a bronze figurine depicting a naked image of the Roman god Venus wearing a golden necklace. In the child’s skeleton, archaeologists found an arrow head, suggesting a particularly violent end. The remains have not been radiocarbon dated yet, but stratigraphic analysis and the artifacts recovered from the house date it to the mid-3rd century. In the exact middle of the 3rd century, 250 A.D., the Roman province of Thracia was invaded by the Gothic forces under King Cniva. According to the ancient historian Jordanes, they were incensed that the annual monies paid them by Emperor Philip had been cut off. Their aim was not territorial conquest, therefore; it was a pillage expedition. The Goths crossed the Danube at Novae into the province of Moesia Inferior where they clashed with the legions led by Emperor Trajan Decius. The Romans defeated them in several encounters but none of them were decisive. Then Cniva did the unexpected and swooped south into Thracia which was barely defended as Decius’ legions were concentrated in Moesia Superior to the west and Inferior to the east. The Goths besieged Philippopolis and took it. What they couldn’t loot they burned; who they couldn’t kidnap for ransom they killed. 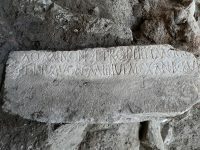 Archaeological material from the razing of Philippopolis is found not infrequently in Plovdiv. Just this March archaeologists found a large public building with three floors, the last of which was built over rubble from the destruction of the city. Human skeletal remains from the event are very rare finds. 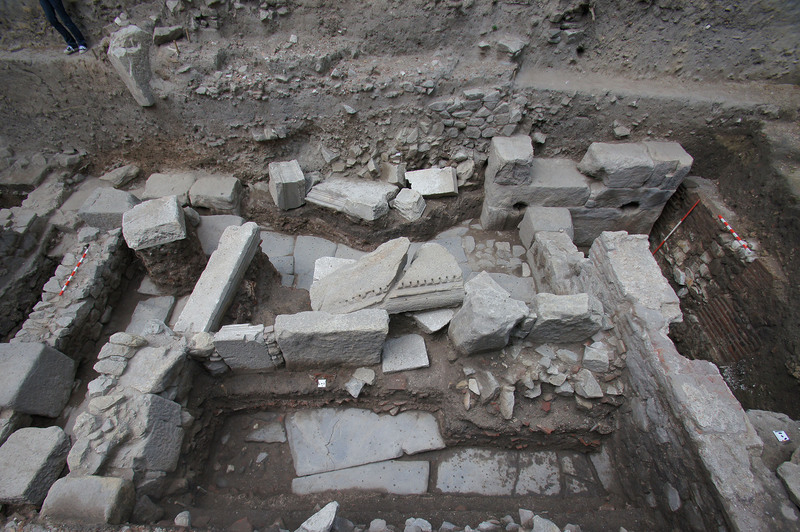 The excavation has unearthed remains from other periods of Plovdiv’s Roman history. The remains of a triumphal arch from the 1st century was a particularly sensational find as there are only two other triumphal arches in all of Bulgaria, one of them located in the East Gate of Philippopolis. 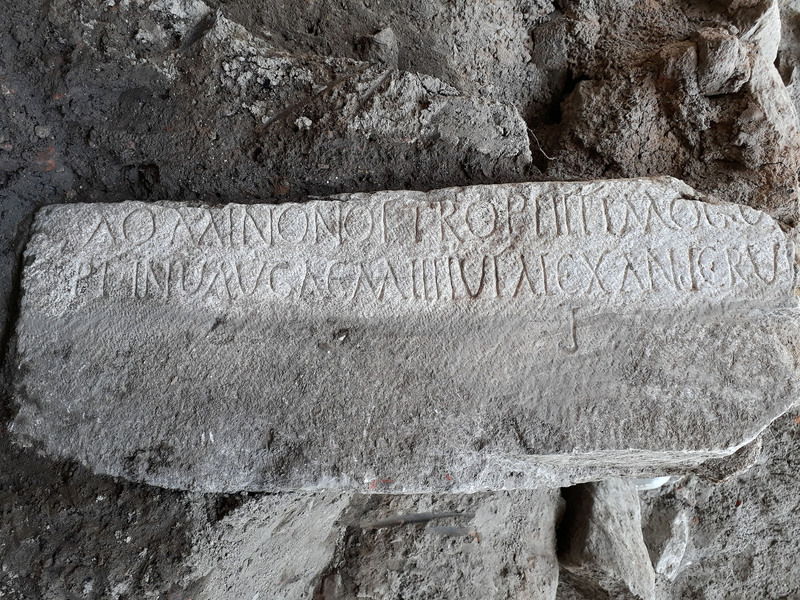 Another remarkable find was a marble slab inscribed with a dedication from the governor of Thrace to the Emperor Diocletian (284-305 A.D.) in both Latin and Greek. It had been recycled into a medieval wall only to drop back down to the Roman context next to the arch when the wall collapsed. The team will continue to excavate the site and hope to be able to accurately date the many structures and artifacts with the aid of 280 coins they’ve found as well as numerous ceramic pieces.